clean: Express Laundry is modern, clean & spacious. We provide unmatched service and quality making the task of doing laundry more enjoyable. fresh: Our services and equipment provide for fresh laundry each & every time you wash with us. Renew: We are equipped with energy-efficient Continental Girbau laundry equipment that reduces water usage and utility consumption. The Waters Express Laundry Center features high-speed machines that shorten the wash/dry process to under 60 minutes; wireless Internet access; and laundry service associates who act more like mothers than employees while keeping the premise spot-less. 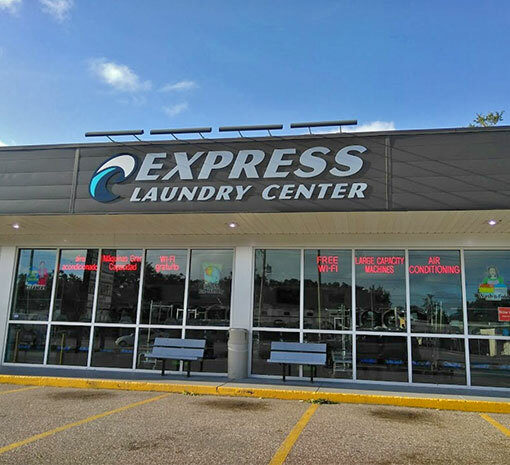 At Waters Express Laundry Center, customer service spins out of control, thanks to convenience programs like Load & Leave, drive-up Drop & Shop, drop-off drycleaning and the coinless convience of value cards. Its always squeaky clean, pleanty of washers and dryers, lots of tables designed expressly for folding laundy, flat screen TV to enjoy and free wireless internet to keep you informed and in touch. Attendants are available 7 days a week from 6 am to 8 pm. Customers flock to Express Laundry Center because our store makes the dreaded tasks of doing laundry more bearable, maybe even enjoyable! Our attendants are fully trained on all of the equipment, customer service and and our world famous Drop and Shop (wash/dry/fold). Created to the increasing number of customers craving time-saving conveniences, Express Laundry Center helps our customers save time through use of efficient equipment and laundry drop-off services. Our high-speed, energy-efficient washers clean better and shorten the time it takes to do laundry by removing more water with each spin. Waters Express Laundry Center offers the most rotund & massive washers around. Perfect for large or bulky items such as comforters, sleeping bags, rugs, blankets or large loads of clothes. Hotels, restaurants, spas, salons, clubs, schools and organizations and feel free to come in and try our drop off commercial services. Caring for the environment is gaining favor across the world. 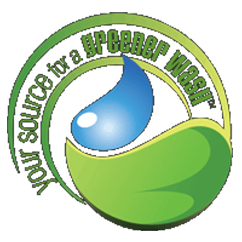 People recycle, install water-saving toilets, carpool and seek out products that conserve water, energy and natural resources. It follows suit, then, that consumers care about how those products are manufactured. Waters Express Laundry Center is equipped with Continental Girbau laundry equipment. Not only are Continental washers and dryers among the most energy efficient on the market today, but customers can feel good knowing that Continental laundry products are manufactured in an environmentally friendly manner to conserve the Earth's natural resources and to create less waste.